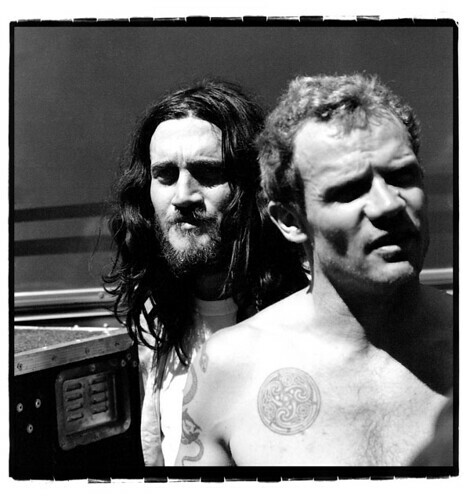 When asked whether he found Frusciante’s departure made any difference to the group, Flea replied “A lot! John and I had established such a language together – if I started playing bass with John, he'd make awesome grooves that we didn't need to talk about or think about. I think we all need to give Josh a chance! For me, John is the best Chili Peppers' guitarrist ever! Absolutely love him, however, I know that John's not coming back, so we all have to be used at! I think it's matter of time for Josh get more and more the vibe of Chili peppers. The new CD it's good but there is no feeling of Chili peppers. It's missing layers of guitar and backing vocals.